Next Willis Eschenbach had a shot, with a wrong article about something that also happened seven years ago, even earlier than the first. This one was back in February 2010. In this case, Dr Rahmstorf was one of the scientists who pointed out errors in a paper in Nature Geoscience. The paper was subsequently retracted, with the authors thanking Drs Rahmstorf and Vermeer for finding the errors. Now, however, he’s had to retract one of his usual BS claims due to errors that he is unwilling to specify … details here. The "now" is February 2010 - seven years ago. The "details here" show that it wasn't Stefan Rahmstorf who retracted any claims. It was he who discovered errors in a paper by different authors, that caused it to be retracted, way back in 2010. (The NatGeo authors included some of the biggest names in climate science, by the way.) Willis Eschenbach is nuts. If you need more evidence that deniers are sleazy nut cases who have totally lost the plot, visit any denier blog of your choice. Anyway, Kaiser just ridiculed Rahmstorf and left his posts up. I doubt PIK, where Rahmstorf holes up, even has lawyers and if they do, they and Rahmstorf should read Real Climatologists’ Legal page. Well, there were no "Gestapo tactics", and while some copies of Kaiser's uncorrected articles were left up as originally published, one of them was removed by the publisher and another was altered by the publisher (but not by Klaus Kaiser). 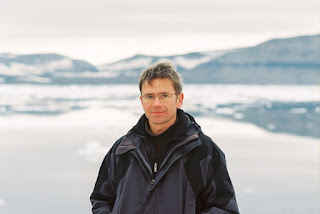 If I remember correctly, in 2008 one of PIK’s finest climate-warmists, Prof. S. Rahmstorf, claimed that by 2015 the last bit of sea-ice in the Arctic summer would disappear. This is a false statement: I have never claimed such a thing, neither in 2008 nor any other time. If the Gestapo had been as polite as Dr Rahmstorf, the world might not have suffered WWII. Please provide the source of such a statement - if I have made a statement that has turned out to be incorrect, I will be very happy to correct it. Older model scenarios still assumed that the Arctic Ocean could be ice-free in summer towards the end of the century. In the meantime it looks more likely that this will already be the case before the middle of the century. Kaiser himself refused to correct the false statement so Dr Rahmstorf contacted the website hosting Kaiser's article, Principia Scientific, which removed his name from the false claim. However they retained the equally false claim that "...in 2008 PIK appeared to support the alarmist view that by 2015 the last bit of sea-ice in the Arctic summer would disappear. ", arguing that this wording "is not pertaining to you personally but to PIK and as such you have no legal standing under UK law to make demands concerning removal". That paragraph looks odd now, because the editors left in this sentence, which after removing the previous reference to Professor Rahmstorf, has no context: "I wonder if Rahmstorf has ever been to the Arctic—in winter of course." Incidentally, Dr Rahmstorf has been to the Arctic in summer and in winter! Photo: Stefan Rahmstorf in the Arctic. Professor Rahmstorf told me that another website which had also published the Kaiser article, Canada Free Press (Kaiser's a regular author there), removed the offensive and wrong article altogether after Dr Rahmstorf complained, so he let the matter rest. I won't repeat the disgusting comments at WUWT. There were at least a couple of comments from people who thought the Hitler photo was over the top. However I don't give them any praise because those same people weren't honest enough to point out that Stefan Rahmstorf was correct to call out the lies about the IPCC that were published in the media all those years ago. Perhaps, in these days of Trump, we should be grateful that Charles the Moderator still sees Hitler as a bad guy. "I don't know much longer they can ..."
How many times have you said something like this Sou? Their indefatigability is, well, indefatigable. "Even experts have said they've never seen one like this!" Are experts OK now? Presumably if they talk about the correct sort of expertise. 'If you need more evidence that deniers are sleazy nut cases who have totally lost the plot' - sorry, they have just won the US presidency. That is not totally losing, that is a total win. Hopefully not a "total" win. Surely there is some recovery from that. Even if they have won the the president does not mean they have not lost the plot. Its rather like here in the UK where the hard line Brexiters are celebrating even as we topple over an economic cliff. I think the explanation is quite simple. Skim the first five or six paragraphs, and don't read the rest of the article. A very quick skim of the paper could give the impression that it was he Ramsdorf paper that was retracted. Well, that's how it struck me on a quick skim,and I had to go back and check my proper names and the sequence to see where the problem lies. I think it was somewhere between parap 4 and 6, inclusive. Don't bother reading the last paragraph and voilà. Ya think? Also an egomaniac, but one who (unfortunately) knows how to write complete sentences. That's what makes him more evil. 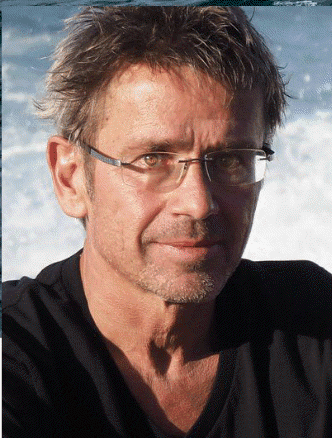 I am proud to say Stefan Rahmstorf did his PhD at Victoria University of Wellington. But did that Auckland University denier de Freitas (deceased) do his PhD at Queensland? And didn't denier Christy do his PhD under Kiwi Kevin Trenberth at Illinois? Quite clever people can be truly foolish no matter the training. Sadly Watts uses them to conduct an orchestra of windbags, blowhards and organ grinders. Actually, believe it or not, but Thresher does have more papers with Gavin Schmidt than just the one you found. I only found one paper in Google Scholar. There are four other published papers listed on his website (making it five in total) plus a PhD thesis. Most of them were from a whole bunch of authors and over a two year period - 2005-2007. The only one in the last ten years was seven years ago in 2010, and that's just a report of a workshop on dendrochronology. He's also listed a paper he couldn't get published, and what looks like a conference abstract from years ago. It looks as if he was a dogsbody for a while, not a publishing researcher, maybe employed as a post-doc. He's got a huge chip on his shoulder. It might have something to do with being knocked back for a job he wanted. He's obviously given up on that score now and decided to lash out at all and sundry instead. Not the wisest course of action I'd have thought. He might be trying to get on a denier speaker's circuit and make a few bucks that way. Who knows. He's making an insalubrious start by getting WUWT to copy and paste some silly whining bordering on defamation of scientist he envies. "Somewhere down the line, however, something seems to have gone really, really wrong with Thresher. I guess it was because of what happened with his wife"
You can't leave me hanging like this! What happened? I've added an update to the article, after correspondence with Stefan Rahmstorf. He sent me info about the email exchange that Duane Thresher calls "Gestapo tactics".